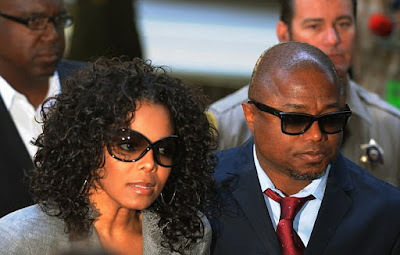 Janet Jackson's brother Randy Jackson has been by her side since she filed for divorce from her husband Wissam Al Mana. Now in a startling new interview Randy says Janet's husband was verbally abusive to her during their marriage. In Randy's explosive tell all about Janet's marriage, he said she was verbally abused by billionaire businessman Al Mana, 42, while she was pregnant. Speaking to People, Randy, 55, claims his sister was degraded and that she was 'called a b**** everyday' while she was pregnant with Al Mana's son. 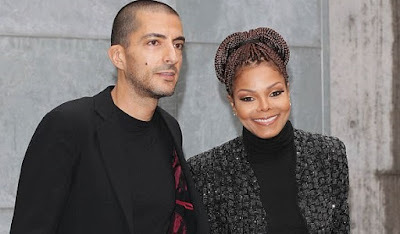 The pair married in 2012, Janet, 51, gave birth to their son Eissa on Jan. 3. 'It was quite an abusive situation,' Randy says of pop star's relationship to Al Mana. He also says that although things never escalated to physical abuse, he did feel at one point he had to intervene. 'I told her, ''You've got to move in with me or I'm going to go over there and there's going to be hell.'' She was really pissed off. I told her, 'I don't care anymore. I'm tired of it. It's too much,' Randy told People. 'There's a lot of pain. Janet's been through a lot with her divorce. I've been through a lot, we all have,' says Randy. The songstress's older brother has been a steady presence at her divorce hearings from Al Mana, which have been in London courts since April. Randy told People that the family matriarch Katherine Jackson, 87, and their sister Rebbie Jackson, 67, also came out to London from the US to show Janet support during her ongoing divorce. Randy was by Janet's side when she posted a video to Twitter first announcing her split from her businessman husband. It has been a whirlwind week of abuse allegations and speculations about Janet's marriage to Al Mana.